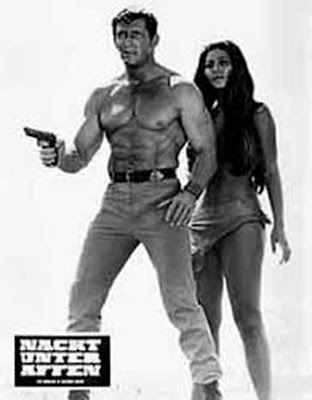 BRAD HARRIS was one of several PEPLUM actors to transition to other action films. The other night I was watching THE BATTLE OF EL ALAMEIN with Michael Rennie, George Hilton, Ettore Manni, and a great cast of Italian Actors from that Golden Age of PEPLUM movies. Do you know that this War Movie was very good. Saw Sam Burke in FIVE FOR HELL, and Richard Harrison in MAD DOG, and JESSE/LESTER. I didn't see THE BATTLE OF EL ALAMEIN. A lot of actors did continue on but to many, their careers faded quickly, like Steve Reeves, Gordon Scott, Mark Forest, Jacques Sernas, etc.